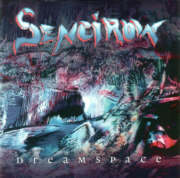 The Heavy Metal band SENCIROW was founded in the summer of 1996. Since then they have always wanted to get a record deal or to go on a European tour with a well-known band like Nevermore or Annihilator. For 3 years the band disappeard in their rehearsal room in order to torment their fingers and ears and finally to capture their own songs on a CD. No sooner said than done, and so their debut album "Dreamspace" was completed in summer 1999. After many excellent reviews, sales, and concerts, bass-player Oliver Bernshausen left the band in order to dedicate more time to his family. In the winter 2000/01 Holger Viereck joined the band, and he is still playing the bass today. 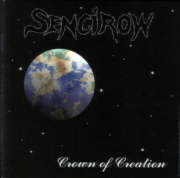 And then the time had come: The preparations for the 2nd CD "Crown of Creation" were running at full blast, and SENCIROW entered the studio in July 2001 in order to record their 2nd album. Now SENCIROW have a live repertory of 90 minutes, and they always manage to electrify their audience with their music.